Everyone visiting the capital of Ireland should take at least ONE day trip from Dublin! 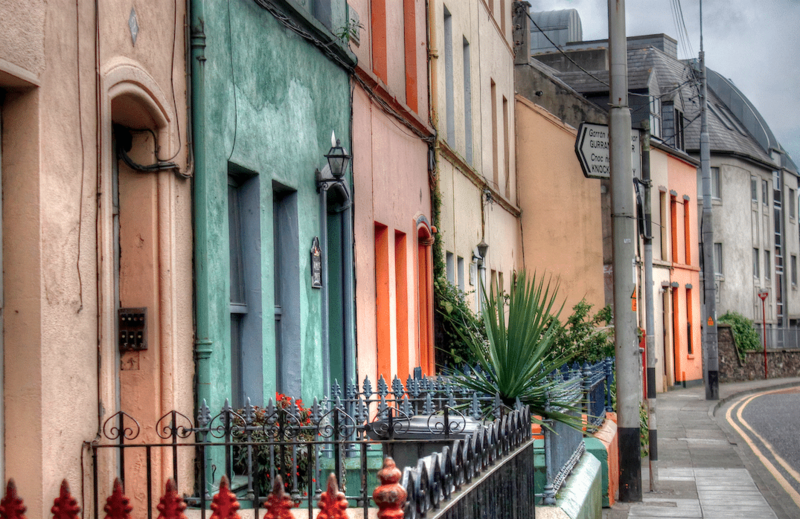 Dublin is gorgeous, and there is plenty to see and do in Ireland’s capital city. However, it would be a shame to travel to the Emerald Isle and not experience the rest of the country’s rich history and stunning nature. 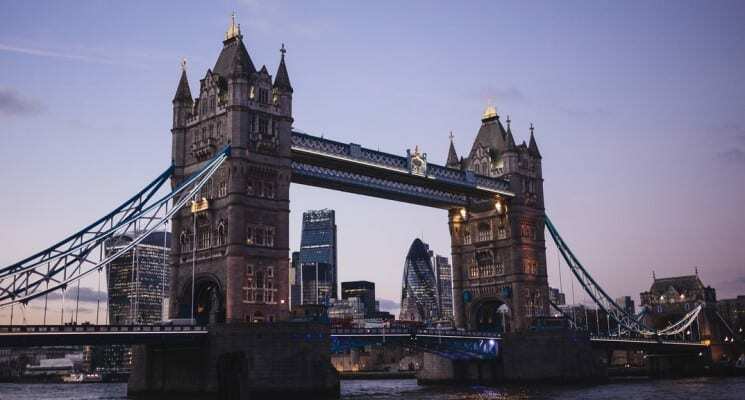 Castles, coastline, and quaint cities abound, and there are seemingly endless options when it comes to exploring this country. So, what’s one to do? Get out, take a day trip from Dublin, and explore the surrounding area of course! We’ve consulted several fellow travel experts, asked them what their favorite day trips from Dublin are and put together this list. 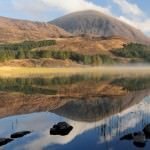 There is something for everyone here, so have a look and start planning your Ireland adventure! Here are some of the best day trip from Dublin according to the experts! It’s only a 2.5 hour ride that lies between Cork and Dublin, but it feels as if worlds divide these two Irish cities. Whereas Dublin is bustling, touristy at parts and, well, a big city, Cork seems to be its sleepy little brother. With cobblestoned alleys, this tiny city is a true gem. It’s full of cute pubs, where live music is played originally from a small table in the corner of the pub and where everyone seems to know everyone. Feeling like a glass of warming Whisky? Then head to the Jameson distillery, which is closely located to the “city” center of Cork and definitely worth a visit. It’s a lively museum that showcases the history of Whisky in a very unique and super interesting way. 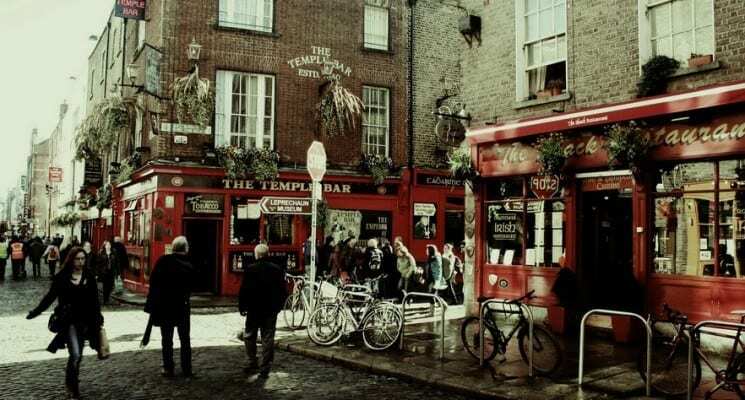 Fall in love with this cute city on a day trip from Dublin and leave the action of the capital city behind. Simply take the bus and enjoy a scenic 2.5 hour ride until you reach this typically Irish town. 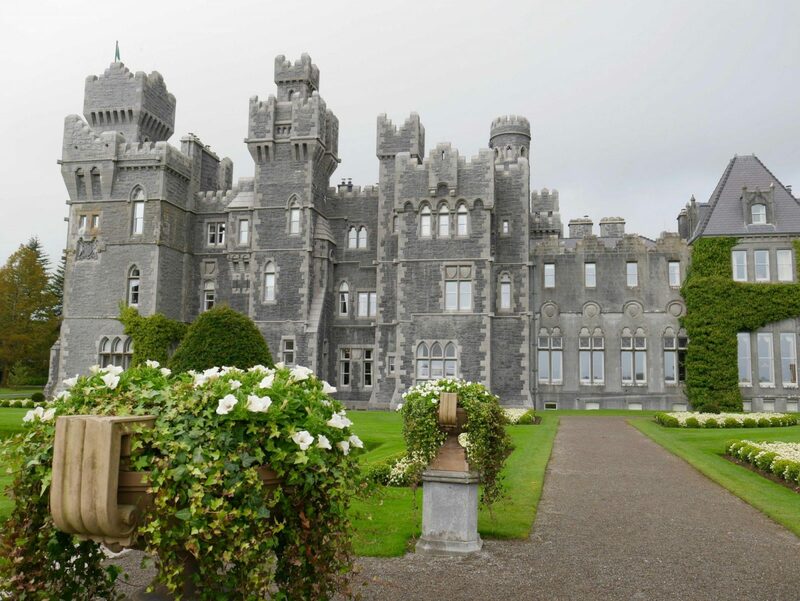 Set on a vast estate of woodland forest, lakes, streams and gardens, Ashford Castle has evolved since it was built in 1228 as an Anglo-Norman stronghold. Reinvented as a French Chateau in the 1700s, then a summer residence of the Guinness family from the 1850s until 1939, it’s now been restored to award-winning stature as a luxury destination hotel that’s part of the Red Carnation collection. Located 2.5 hours from Dublin in the picturesque village of Cong, the Ashford Castle Estate makes for a fascinating day trip. Activities include falconry, salmon fishing on the Cong River, relaxing in the beautiful spa featuring an indoor pool within the castle’s soaring stone atrium and more. An unforgettable experience is enjoying a luxurious Afternoon Tea within The Connaught Room at Ashford Castle, a tradition that dates back to 1868. The floor to ceiling windows offer stunning views of Lough Corrib while the setting itself is fit for royalty with Donegal crystal chandeliers, oak panelling and plush furnishings. Be sure to reserve Afternoon Tea and other activities well in advance. 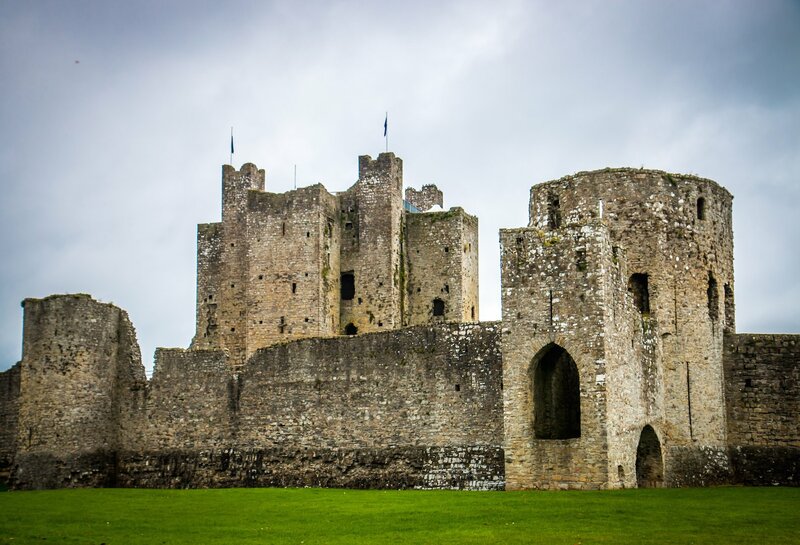 The largest Anglo-Norman castle in Ireland, Trim Castle was built over the course of 30 years in the 12th century. Today its ruins encompass around 7.5 acres on the south bank of the River Boyne in County Meath, about a 50-minute drive outside of Dublin. Though the castle’s roof is gone, the 3-story interior remains impressive, even as moss and other greenery has grown there. You may recognize the castle from the 1996 classic film Braveheart. Its keep was transformed into the King Edward Longshanks’ Tower of London, while the area outside became the 13th century city of York (which Mel Gibson’s William Wallace besieged before being captured and executed). The roof provides stunning scenic views of the surrounding countryside. Although the 45-minute guided tour of the castle seemed short, it was definitely a major highlight of our time exploring Ireland’s Ancient East. 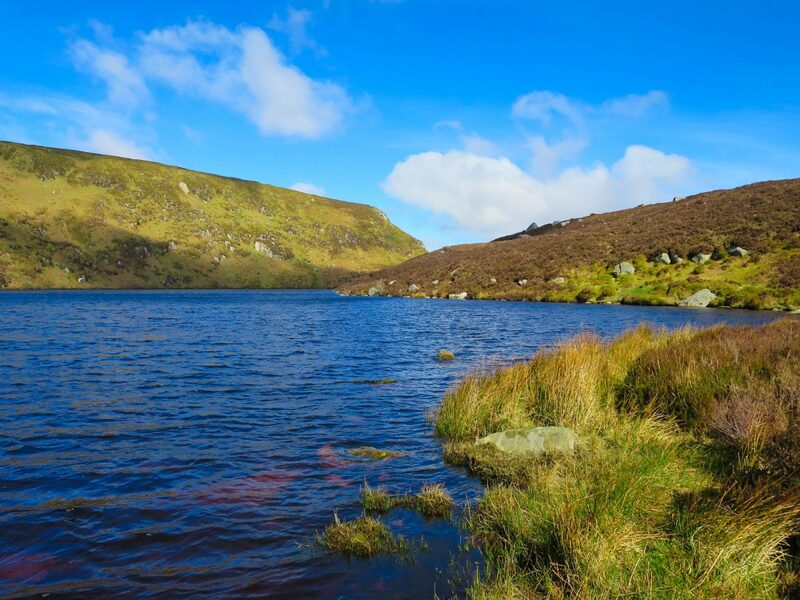 Keen hikers and nature lovers should be sure not to miss a day trip to the striking Wicklow Mountains National Park during their time in Ireland. Located just south of the Irish capital, Wicklow is bustling with striking foliage, varying wildlife and beautiful lakes and landscapes. The Lough Bray lakes are situated just off the R115 Military Road only 30 minutes outside the city, making it a perfect day trip. A short walk from the road will take you to the lakeside of Lough Bray Upper. The shoreside walk around the lake is beautiful, and those seeking a longer hike you can walk up to Eagle Crag viewpoint by nearby sister lake, Lough Bray Lower. In summer you can swim in the lakes, and deer are often spotted nearby. Allow at least 2-3 hours to enjoy the Lough Bray lakes if you want to hike around them, be sure to take walking boots and a packed lunch. 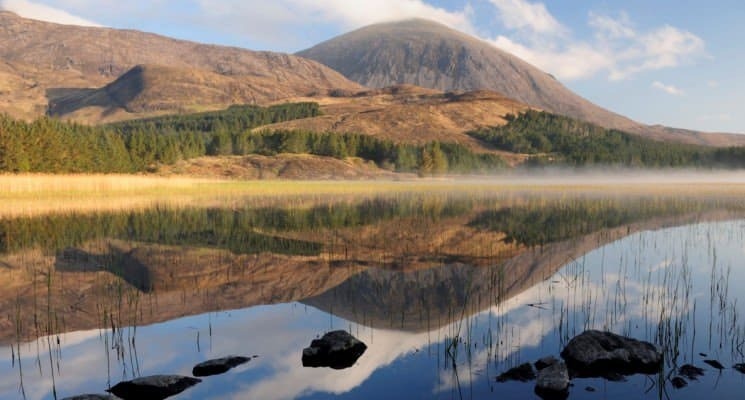 If you start early, you may have enough time to explore more of the National Park, including the nearby Sally Gap, Glenmacnass Waterfall, and the beautiful area of Glendalough in the south of the park. 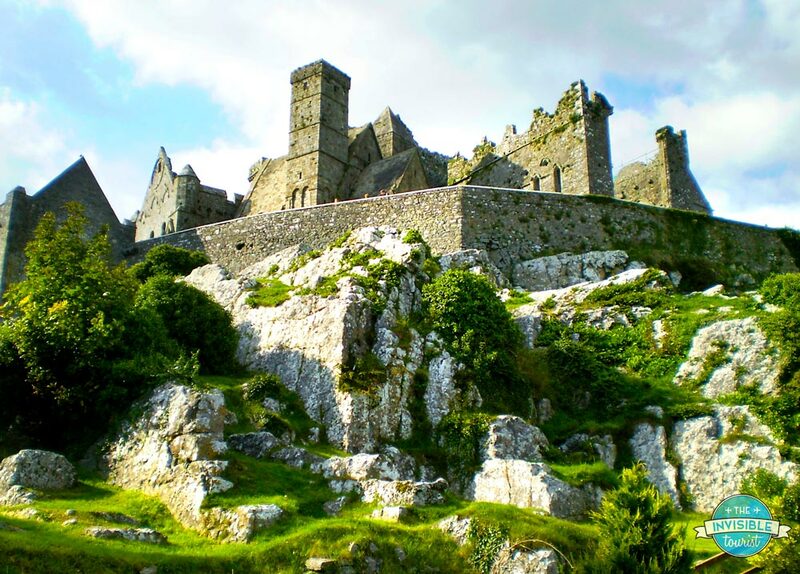 Dating back to the 5th century, The Rock of Cashel in County Tipperary makes for a great day trip from Dublin and can be reached in just under 2 hours by car from Ireland’s capital. Perched high on limestone 60 metres above the town of Cashel, this popular and incredibly preserved site is said to be where St Patrick resided in the 5th century and is the ancient royal seat of the Kings of Munster. The Munster family ruled the land from the 5th-11th centuries before the Norman invasion and were the first Christian rulers of the country. Structures left standing today such as the Romanesque Chapel, Gothic Cathedral and Round Tower date back to the 12th and 13th centuries with the Round Tower still completely intact. Incredible considering it was built without mortar! An Irish cemetery dotted with ancient Celtic crosses can also be found within the site’s fortress-like walls, and the intricacy of details carved into these stones is breathtaking. The Rock of Cashel is also home to the original cross of St Patrick, Ireland’s patron saint as well as many other Irish High Crosses. Be sure to allow 1.5 hours for your visit and prepare to journey back in time to medieval Ireland! 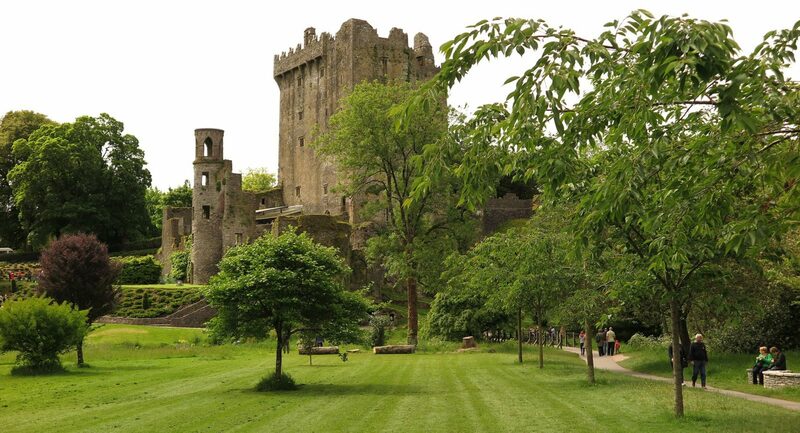 If you’re looking to improve your public-speaking skills, a day trip to Blarney Castle may be just what you need. Built 600 years ago, not only is the castle one of Ireland’s most prized treasures, it’s also home to the famed Blarney Stone. Legend has it that anyone who kisses the enchanted stone will be blessed with the gift of eloquence. Dignitaries and diplomats from around the world have made the three-hour drive from Dublin to Blarney Castle for their chance to press lips against the precious stone in exchange for the gift of the gab. There’s just one catch—the stone can only be reached by dangling upside-down several stories above the ground since it’s built into an outer wall at the top of the castle. 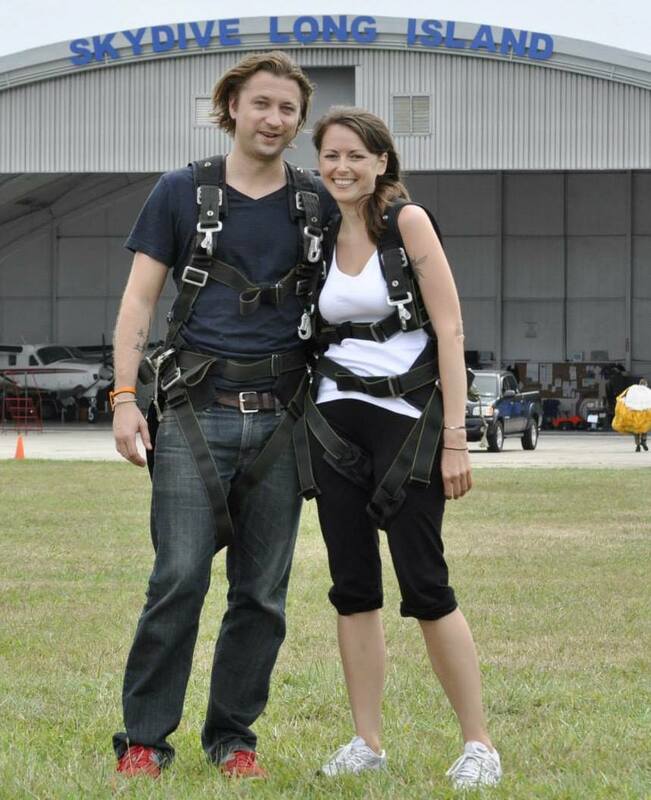 For anyone who has a fear of heights, it might sound scary, but a variety of safety measures are in place to ensure no one tumbles to the ground. It’s an exciting and unique experience. 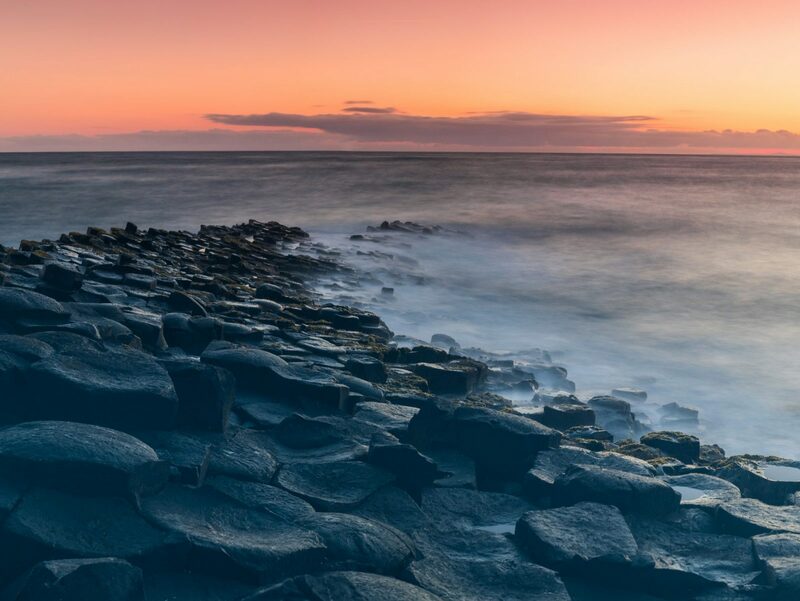 One of the most popular day trips from Dublin is the Giant’s Causeway, a UNESCO Heritage site located on the Antrim Coast in Nothern Ireland. These unique rock formations were created over 60 million years ago as a result of a volcanic eruption and are really impressive to see. Entrance to the site is free, but in order to get there you need to walk for 1 km or take a shuttle bus for £1.00 each way. There is also a Visitor’s Center onsite with a £9.00 entrance fee. 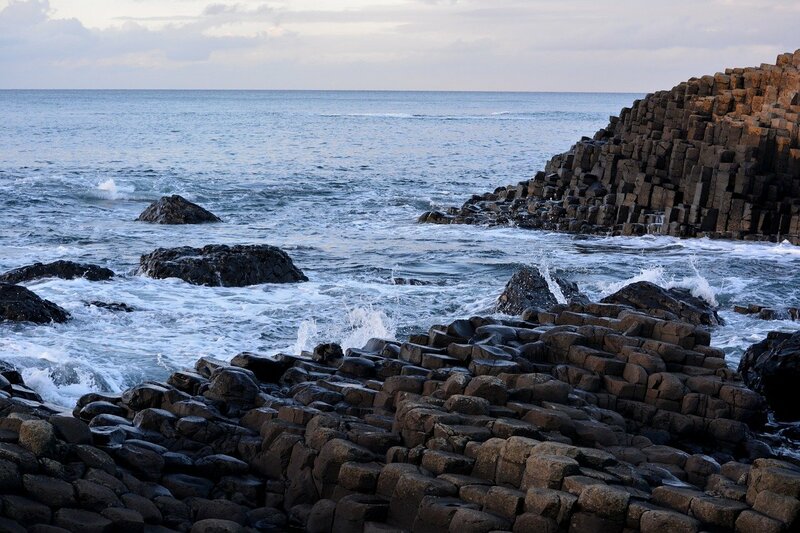 There are two popular ways to go to the Giant’s Causeway from Dublin, by car or with a guided tour as I did. The distance between Dublin and the site is around 360 km and it is a good 3.5 hour drive. The tours depart from Dublin at around 7:00 am and get back to town at 20:00 pm. They make a lot of stops along the way depending on the tour company. The tour I did took us also to the Dark Hedges, the Carrick a rede rope bridge and to Belfast.The Giant’s Causeway is a unique site that I totally recommend when you visit Ireland. The ancient burial monument of Newgrange in the Boyne Valley is one of the most popular day trips from Dublin and it’s easy to understand why. At over 5,000 years old the megalithic passage tomb is older than Stonehenge and the Pyramids of Giza and is inscribed on the UNESCO World Heritage Site list. Visitors can enter the chamber itself to experience Newgrange as its original designers intended. Stepping into the chamber is akin stepping back in time as ancient Celtic inscriptions adorn the rocks. Each year, during the winter solstice, the morning light floods into the passage tomb, aligning with the solstice and perfectly illuminating the interior of the tomb. 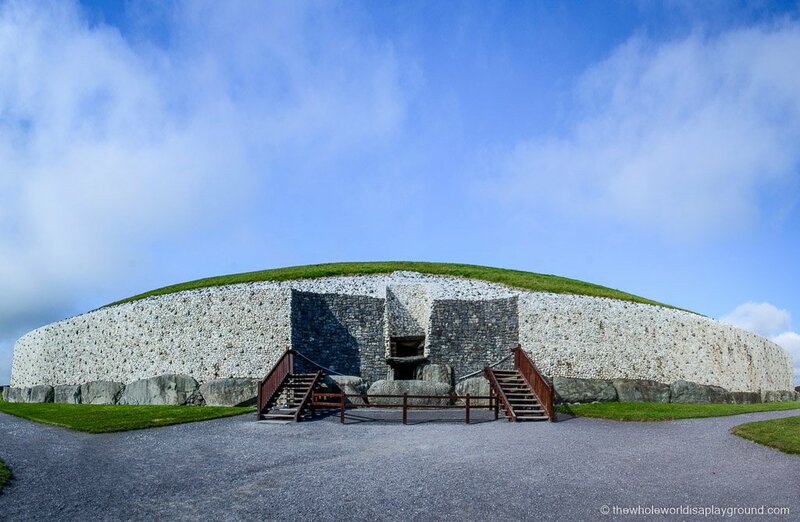 A Newgrange tour also includes a visit to the nearby passage tombs of Knowth and Dowth which are lesser known but equally as impressive as the Newgrange site. 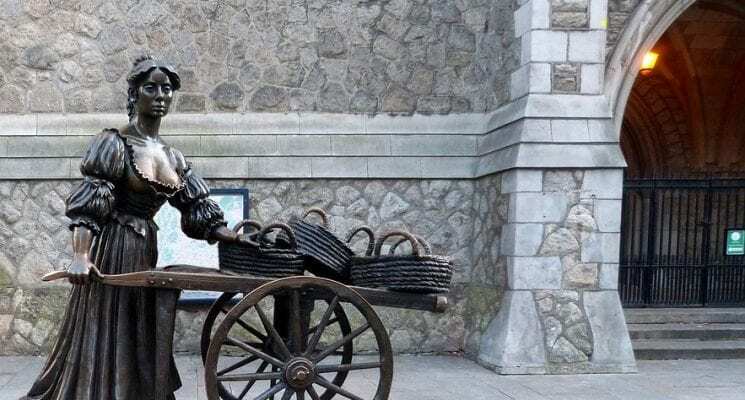 Newrgange is less than 1 hour drive from Dublin and many of the organized tours include visits to other popular sites in the Boyne Valley area such as Trim Castle, the Hill of Tara and Bective Abbey. 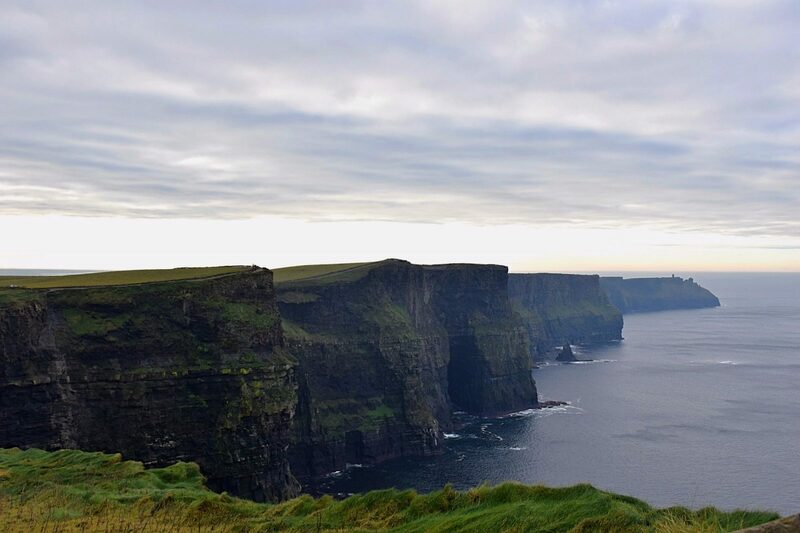 The mythical Cliffs of Moher rise up and out of the sea more than 390 feet. They run for 5 miles along the eastern coast of the Irish Isle, and are just over a three-hour drive from Dublin. At the midpoint of the cliffs is the Cliffs of Moher Visitor Experience. Entrance to the visitor center and the cliffs is €6.00. This award-winning visitor center is worth more than just a casual walk-through. It presents the history of the cliffs and their geological formations, and features stunning photos of the animals that make their homes there. A short walk from the visitor center leads to the main overlook of the cliffs. In the distance, one can see O’Brien’s Tower. This historic tower was built on the edge of the cliffs in 1835. It was one of the first tourist attractions on the cliffs. There is a path leading further along the cliffs in both directions from the tower. Enjoy walking along the cliffs but don’t get too close to the edge! Although Ireland may not be imprinted in your mind as a “beach destination,” when planning a trip to Dublin, make sure to stop by the dramatic coastal town of Killiney. Visitors can travel to Killiney on the DART Line, also known as the Dublin Area Rapid Transit, from Dublin’s Connolly train station with the city’s Leap Card for local transportation. Bordering the Irish Sea, Killiney is home to a sandy beach, but large rocks in cool grey and warm beige also adorn the coast line. A tan rock wall stretches along some parts of the beach, and clusters of wildflowers sit in the grasses above. The area is so picturesque that a few famous residents have taken to overlooking Killiney’s beach, including Enya and Bono from U2. 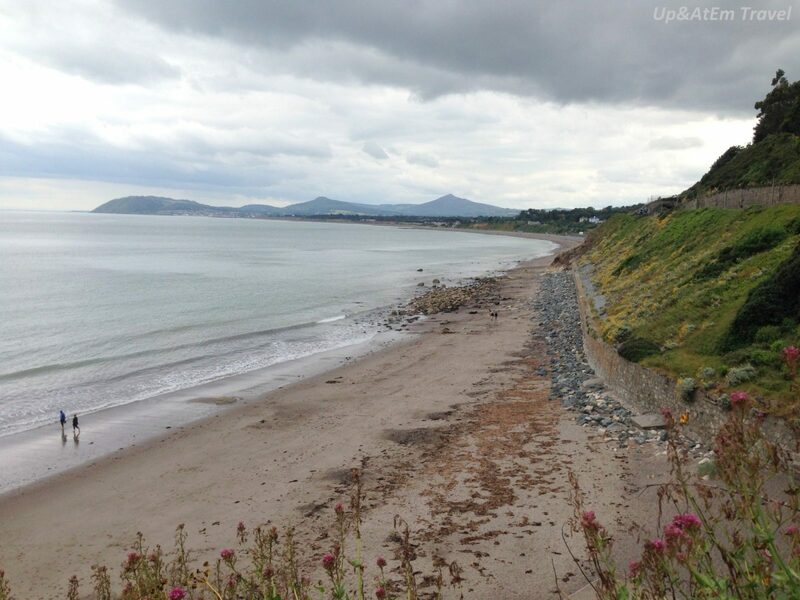 To explore more of the Irish suburb, take a wander through the scenic Killiney Hill Park. You can take a rest at the Obelisk landmark and admire the views from both Dalkey Hill and Dalkey Quarry. Located on the Cooley Peninsula about one hour north of Dublin and one hour south of Belfast, Carlingford was raided and occupied by the Vikings in the 8th and 9th centuries. 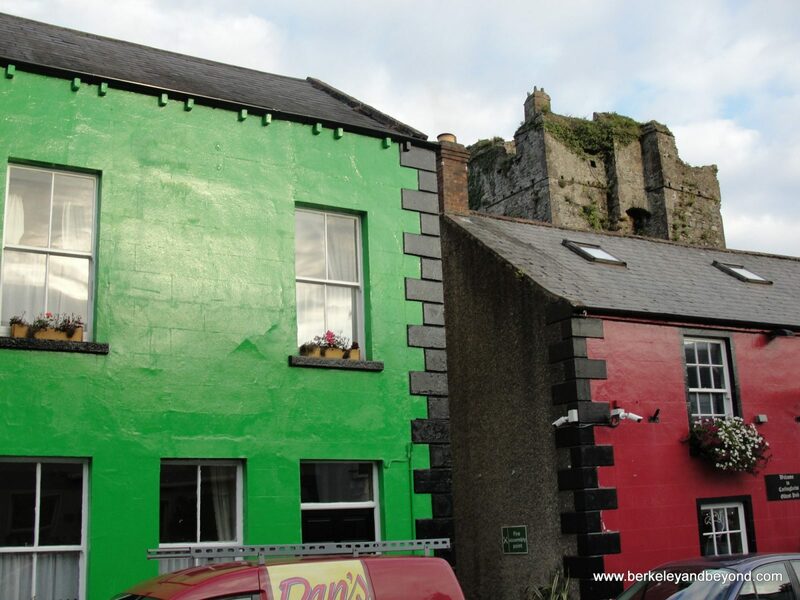 It retains its original narrow medieval streets and lanes and is Ireland’s best-preserved medieval village. It is a magical spot that also seems to be leprechaun central. One of the best reasons to come here is a meal in the famous Ghan House restaurant. They make most everything in house, including jams and ice creams. And you can learn how to make some of the goodies yourself in the on-site cooking school, which is the third-oldest in Ireland. I recommend planning a full day and night here so that you can stay in one of the antique-furnished upstairs guest rooms. 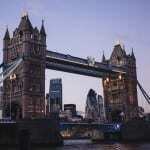 That will give you time to stroll the town and also have a drink in the P.J. O’Hare pub. Established in 1860, this place knows how to pour a proper Guinness and also how to make an Irish coffee. A don’t-miss spot, it also has a display of leprechaun bones. Howth is a cute little village on the ocean, just outside of Dublin. It takes about 45 minutes by DART to the center of Howth from Dublin. It is a beautiful ride and you can see the ocean from the windows on the left-hand side of the train. Once in Howth, there is a ton to do. There are some great coastal walks around the peninsula and that are well marked. 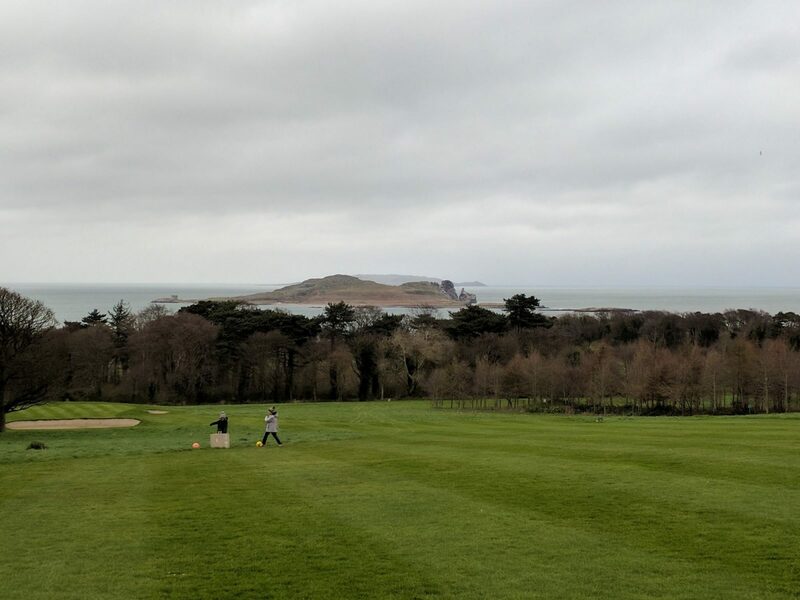 There is also Howth Castle, a lighthouse, a golf course and a 18 hole foot golf course. Foot golf is golf, but played with a soccer ball and larger holes. There are terrific views from both the golf and foot golf courses. The food is tremendous as well. Make sure to stop and get some seafood by the harbor. The fish and chips are fantastic at Beshoffs. You can get it for takeout and eat watching the ocean and the seagulls. 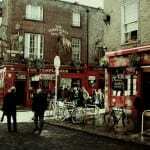 Want to save on accommodations while in Dublin? 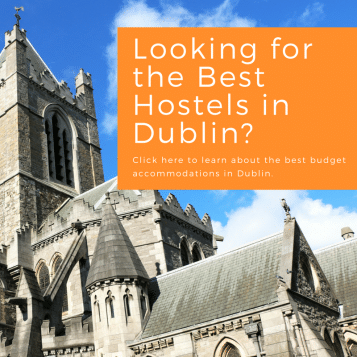 Click here for our list of the best hostels in Dublin! Why no mention of Kilkenny?